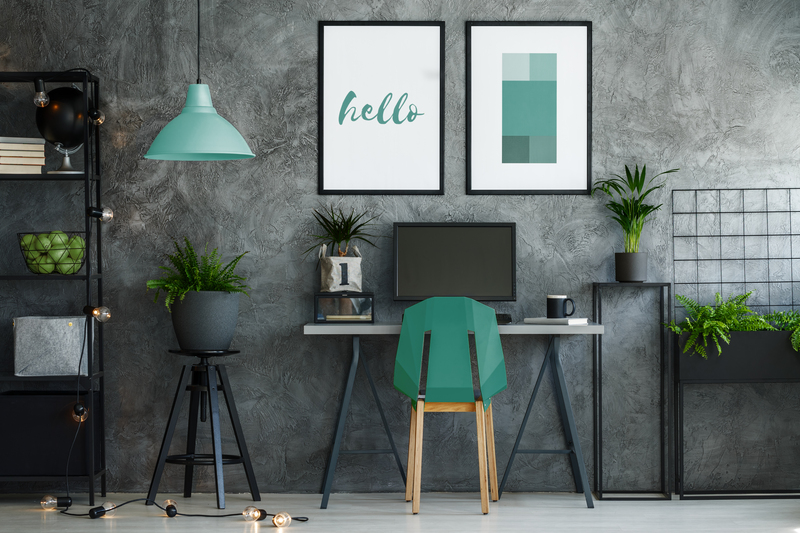 Designing a small office is not always an easy task, particularly when trying to create both a functional and motivational space. 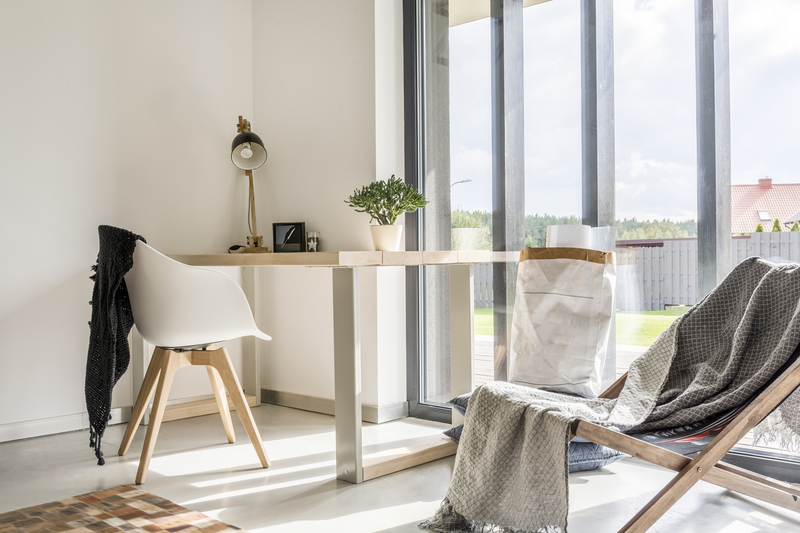 Making the most of natural elements is always a good idea in a small office, such as letting in as much natural light as possible. Since having a small office means that you have less to work with, putting extra effort into the aesthetics is all the more important. Wall colour, although not an obvious feature, has a great impact on office space. Choosing lighter or neutral colours, such as white, beige or pastel colours maximises the perceived size of the office, making it look larger. It is often assumed that darker colours make a room appear smaller. However, this isn’t always the case; they can be used intelligently to create an atmospheric room. Darker colours are particularly effective when they are painted on both the walls and the ceiling as this creates the illusion that the room space is endless. This is also great for rooms with low ceilings as it makes for a higher appearance. When choosing colours, it’s important to think about the direction that the room faces, and the amount of natural light the room receives. If you choose to use darker wall colours, it’s a good idea to add a pop of colour through furniture pieces to balance out the colour scheme. Matching furniture colour is also important for making an office appear larger. Furniture pieces that have different colours and patterns can create a cluttered appearance, therefore making the office look smaller. Office furniture does not necessarily need to be identical in style and texture, as long as the colours are complementary to each other. Nowadays, less paper is being used in offices since most documents are now stored on computers and other devices. Depending on the business, this may allow desk sharing, or perhaps a reduction in desk size. 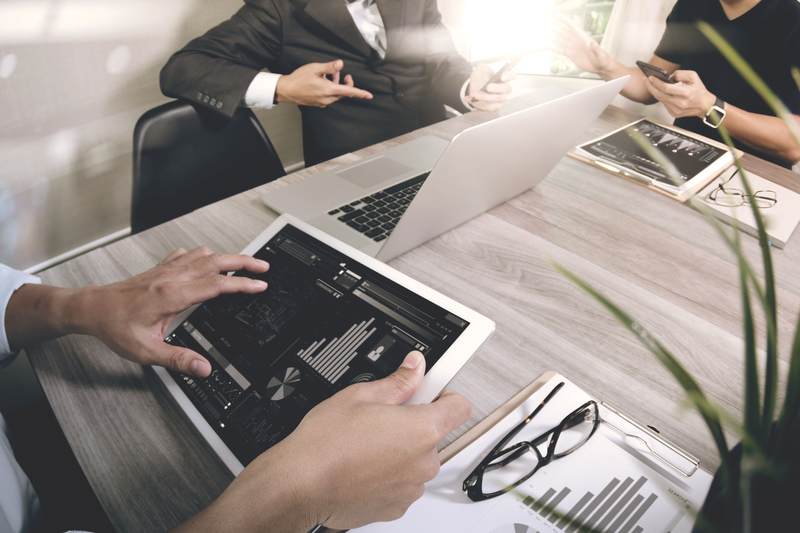 Although this may not be to everybody’s preference, it’s worth considering since it will ultimately help to increase office space. It’s also a good idea to try and keep furniture minimal in a small office to prevent overcrowding. This can be helped by choosing desks that are multi-functional and have multiple storage options. 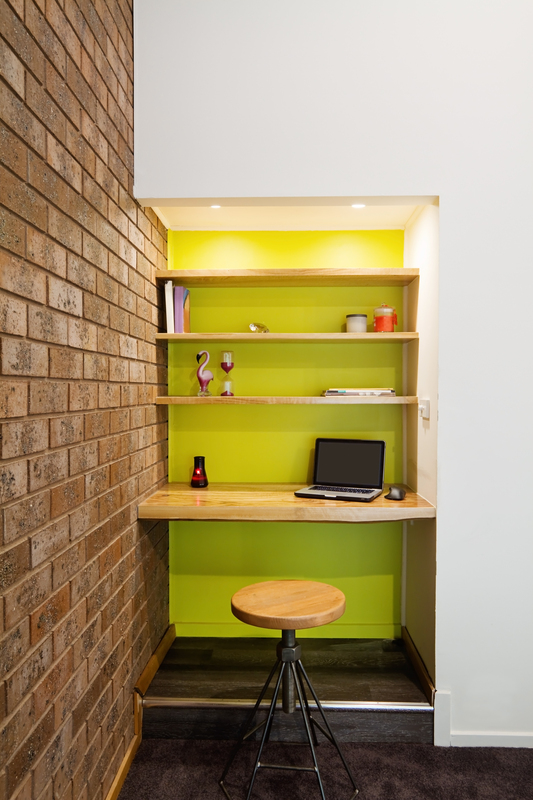 Taller desks that have shelves and drawers incorporated into them help to save on floor space. Additionally, corner desks are great for small offices since they make the most of tucked-away areas, thus leaving more room in the most central parts of the office. These desks provide the functionality of a traditional business desk whilst reducing the amount of floor space that is used up. Those who struggle to concentrate in a noisy office might find it harder in a smaller office, since there’s no room to set up a quiet area. Modern and innovative, acoustic booths may be the ideal furniture pieces for these situations. Acoustic chairs provide protection around the individual, blocking out external sounds through acoustic panels which are fitted inside. There are also acoustic pods available, which can play relaxing sounds to boost concentration. If your workplace requires collaborative work, larger acoustic pods can also be installed. 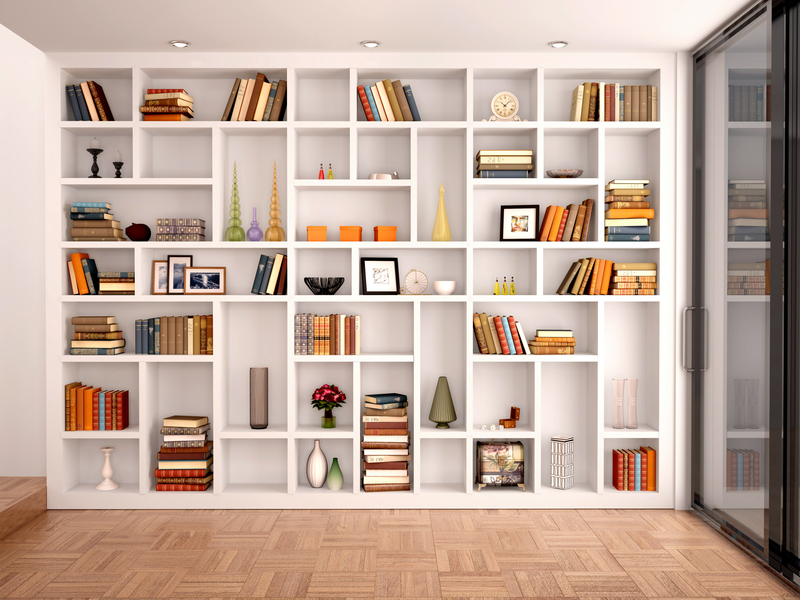 Storage walls, which can be incorporated within wall design, are a great way to avoid building additional office furniture and, on average, can save up to 30% of floor space. These are both functional and contemporary, and depending on how they are used, can also contribute to a stylish office design. Rather than installing bulky light sources that will take up unnecessary room, using ceiling lights and natural light sources are the best options for small offices. Placing desks next to windows is a good idea, as well as using fluorescent ceiling lighting (as long as it doesn’t make the room too bright – this can cause headaches). It seems that the advances in technology can also help to maximise office space. Streamlined, integrated technology desk items have been designed so that computers can fold away into dually functional desks – meaning that they can be smaller in size. Additionally, wireless technology has allowed for a reduction in cables. A large number of cables in a small office can soon make it feel like a cluttered space; this can be prevented by switching to wireless devices. 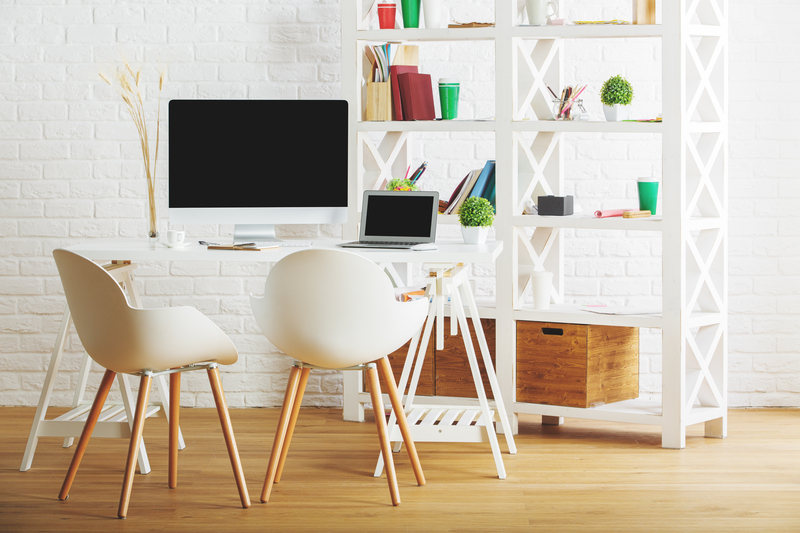 If you’re thinking about giving your small office a makeover, it’s not as difficult as it may initially seem. By simply ensuring that you focus on natural elements and making the most of wall space, you’re already off to a great start.